Getting the opportunity to escape the New Jersey winter and play for life-changing money in Las Vegas sounds fantastic. Now, thanks to playMGMpoker.com, you can do just that. PlayMGMpoker, another skin on the same network as BorgataPoker.com and partypokerNJ.com, is running satellites to the World Poker Tour Five Diamond Poker Classic with at least one $12,000 package guaranteed on Sunday. The $535 buy-in event, which awards one WPT package for every 24 players, runs at 6:20 pm Sunday night. “The ability to qualify New Jersey online gaming players into desirable land-based Borgata poker events has been an extremely valuable resource in helping our poker network grow and succeed within the market,” said Ray Stefanelli, Executive Director of Online Gaming for playMGMpoker. The Five Diamond Poker Classic runs December 5 – 10 at the Bellagio Hotel in Las Vegas. The $12,000 package includes the $10,400 buy-in to the WPT Five Diamond Classic at Bellagio plus $1,600 to cover airfare and hotel. 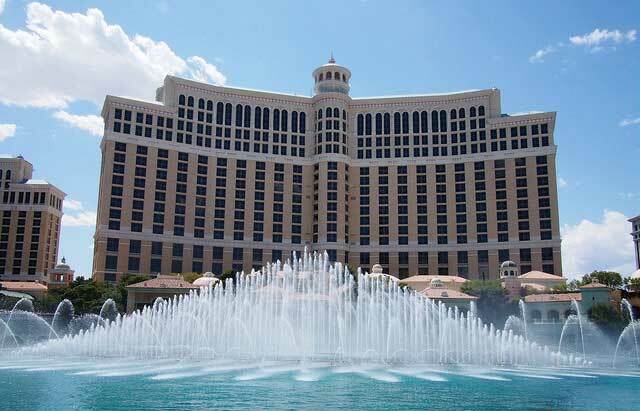 As an added bonus, the package includes a complimentary first-night stay at the Bellagio. Players can work their way through qualifiers starting at $10. This marks the first time that New Jersey players have been able to qualify for a WPT event outside of the Garden State. Previous qualifiers have sent numerous players to various events at the Borgata. If you don’t already have a playMGMpoker.com account, sign up now and use promo code “P5” when making your first deposit of $50 or more and you’ll get $25 free, a 100% deposit bonus up to $1,000 PLUS two $10 tournament tickets that you can use to play the $10 Daily WPT qualifiers. SIGN UP NOW.